Walking into Harry Potter studios was a bit overwhelming in many ways, that it actually made me cry. I know I should be completely embarrassed to admit this, because I am an adult, after all. Twenty-eight in fact. And I was embarrassed right after the fact. But the truth is, Harry Potter was such a huge part of my childhood. 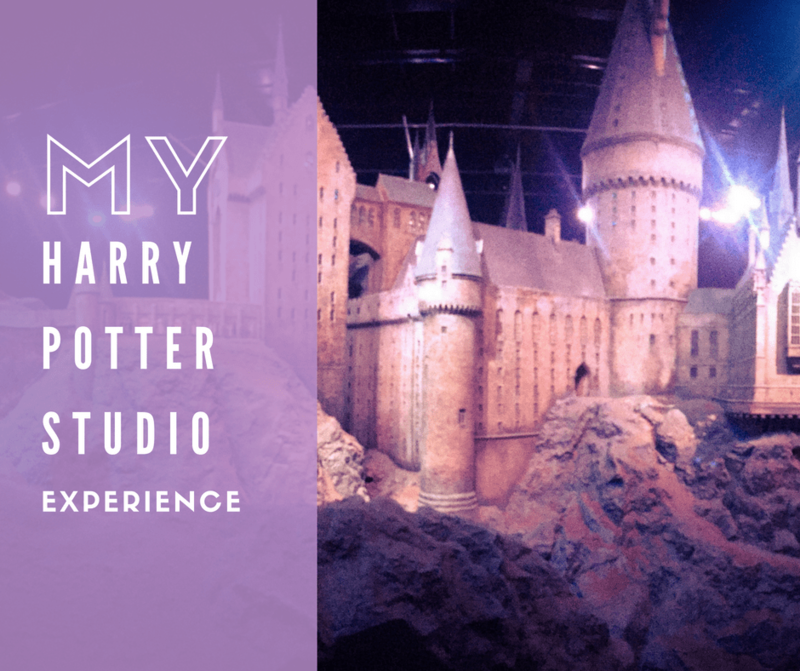 Walking into the studios as an adult made me remember all the summers I read and re-read the books, the anticipation I felt for the films, and the countless days filled with imagination that I experienced. Recalling just how much happiness this brought me as a child, and then young adult, made me tear up. Today is the premier of the new Harry Potter movie – Magical Beasts and Where to Find Them. I’m not sure how good the movie will be (I mean, can anything beat the original? ), but it has me feeling a bit of nostalgia, especially for when I was in my early teens, dying of anticipation for the original ones. I thought it would be a great to revisit my adventure a few weeks back. When we arrived at Watford Junction Station, we walked over to the Harry Potter themed bus stop. As you can see from my face, I was overly enthused. The Warner Brothers Studio shuttle pulled up after a short wait. It took about 15 minutes to get there. It was getting dark outside, and a bit colder, but we were really excited for the tour to begin, and that only prompted us to get inside quicker. Since the tour was around dinner time, and we didn’t know what time we would finish, we had a quick sandwich before starting the tour. The first stop of the tour was a movie theater. 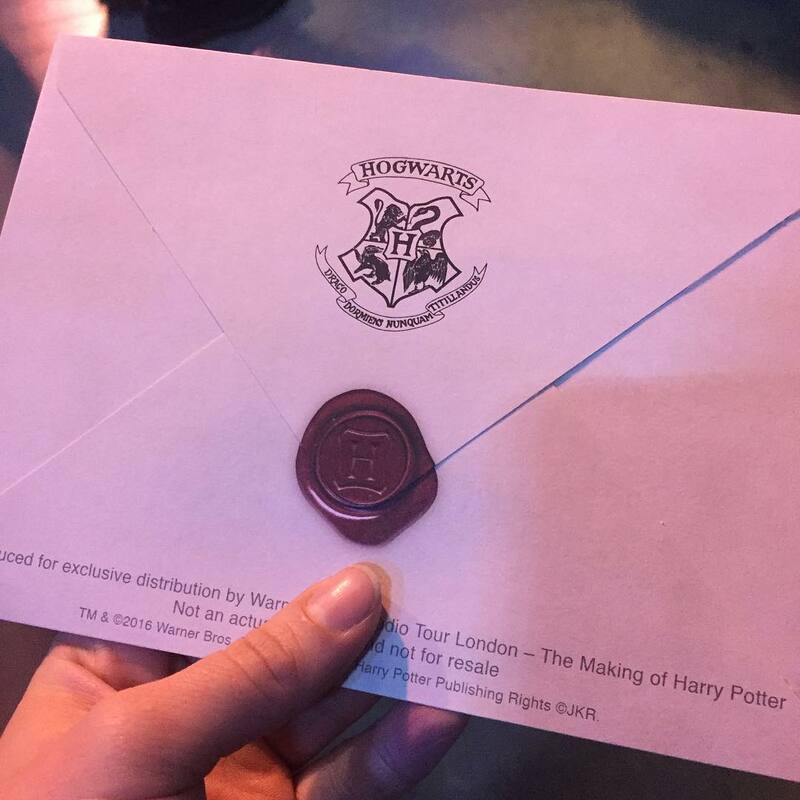 We had an exclusive introduction from the cast members about the tour, and some updates on the upcoming move, Magical Beasts and Where to Find Them. After the short movie, we moved on to the next stop. They called up all the people who had a birthday up front. That was a special touch for me, as we got to help open the door to the Great Hall. The real tour of the studios began. The Great Hall was a lot smaller than I had imagined it to be, and obviously missing a magical ceiling. However, the statues and the set were pretty incredible. But they had all the houses in their relative places, and they had Dumbledore’s costume on display, as well as Professor MacGonagall’s. After we left The Great Hall, we walked around different sets from all of the movies. The Chamber of Secrets door. The snakes actually move! 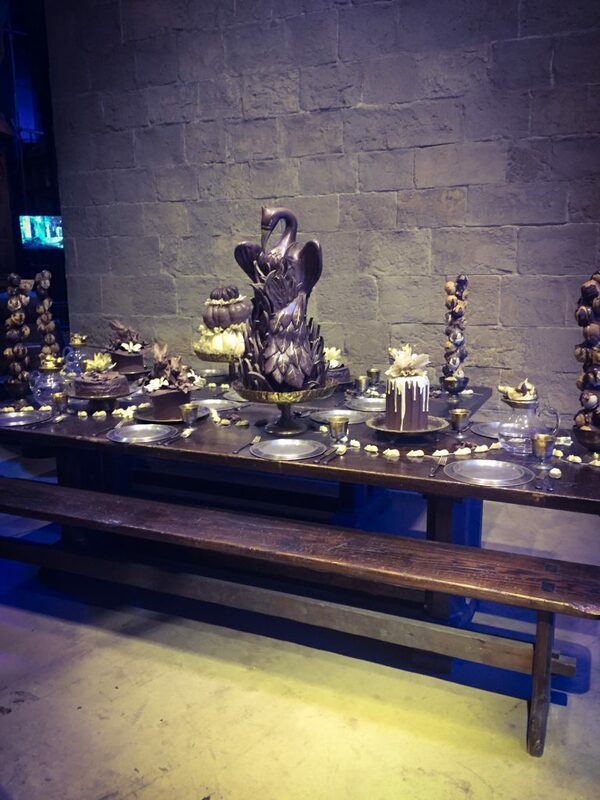 Just as a hint to anyone who wants to plan my next birthday… A table full of chocolate is definitely my kind of party. This was actually very cute. This was a photo of all the furry actors of HP. They had 8 dogs play Fluffy over the course of the movies. After all these years, I finally got my own Hogwarts acceptance letter. I opted for the Butterbeer ice cream, rather than the drink. It was so delicious, but too rich, and I couldn’t finish all of it. I did, however, keep my cup! 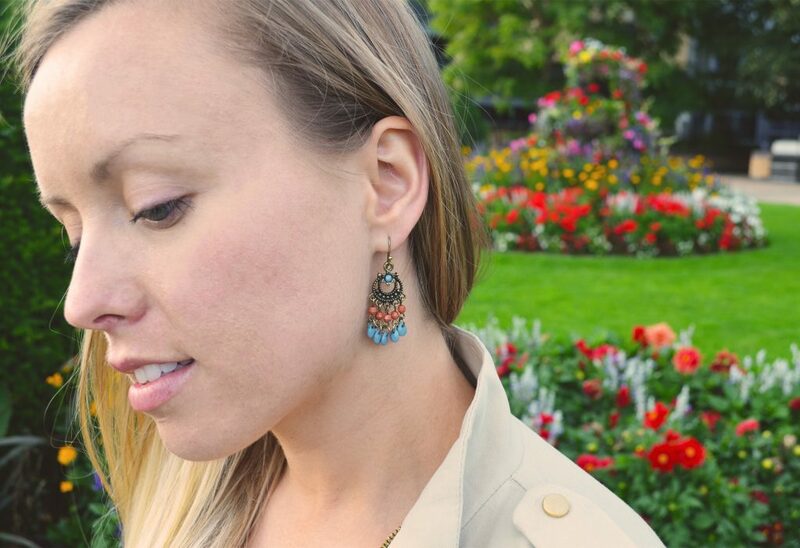 These are some of the outdoor scenes. Here is Privet Drive. It looks complete from the inside but it is only partially built inside! It took a lot of self control (and a very practical flatmate) to convince myself not to buy a wand. I mean, why would I need a wand? 1. What was your favorite Harry Potter Movie? 2. Who was your favorite character? 3. What house do you belong in? Reply	Caffeine Berry - Hello 2017!